Its been more than a month since my last post. So what pushed me to write this post? 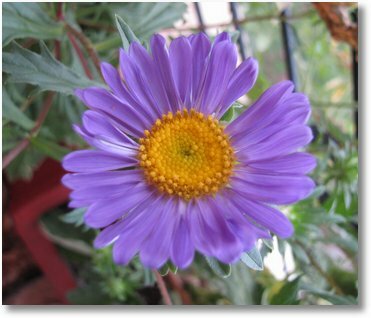 Flowers in my garden…. They are so beautiful and vibrant that anyone will want to talk about them, write about them. 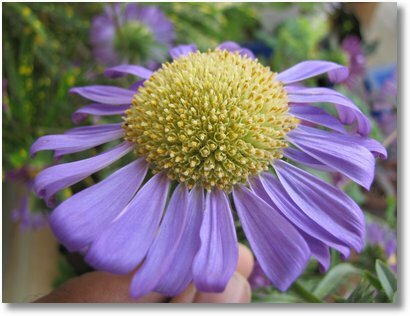 Most of the flowers that you will see in this post were started from seed. 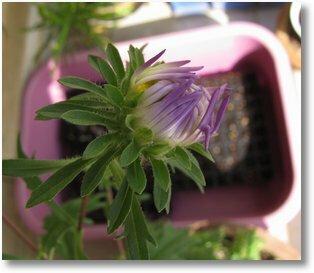 I had blogged about the seed starting as well. I will end here.. over to my camera.. 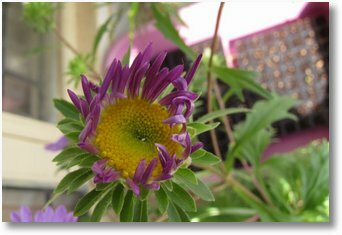 I always like the element of surprise when you sow a seed mix of flower and waiting for the flower to open to know the color. Oh not purple? Ok somewhere between blue and purple.. 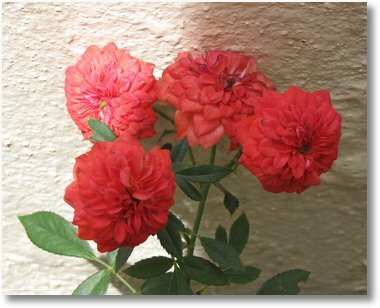 Here comes the rose with its Dahlia like petals.. 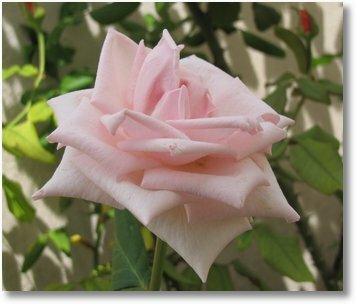 I get reminded of Icecream when I look at this rose flower. 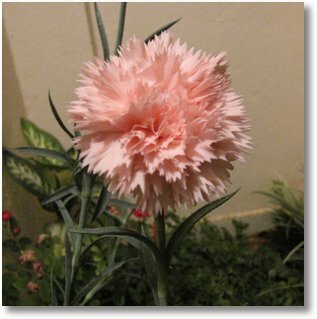 When I had been to the Lalbagh Flower Show, I picked up two carnation seedlings which were supposed to be Yellow and Pink as promised by the Dutiful shopkeeper. As always, both of them turned out to be Pink. No worries, pink is beautiful too :D.
Ha.. this flower needs some introduction. 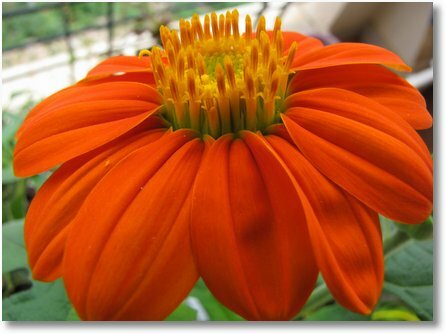 This is “Tithonia” aka Mexican sunflower. 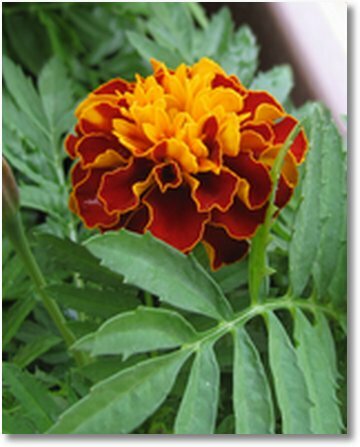 I planted this at the same time I did the marigolds and this one took longer and longer to grow let alone bloom. More I wait, taller it got. I now know why it took so long. Creating such a piece of art takes time.. long time.. Here is tithonia blooms for your viewing pleasure. I did it. Finally I was able to break a month’s silence. If not for the flowers which I have been busy nursing this post would not have seen daylight. Thanks to the flowers.. 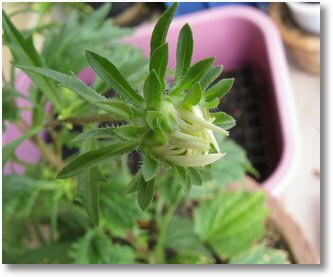 Colors in my garden Seed starting begins….. Say Hello to First timers Seedlings – How are they?… Gardening updates. Flowers are always fun to grow ain’t it? 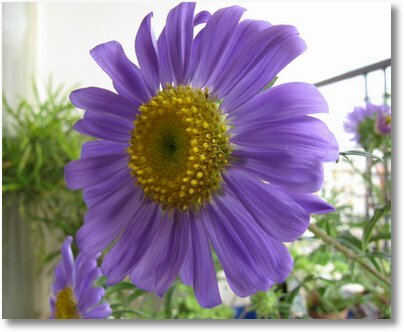 I love the changing color shots of Aster! Wonderful. That’s the fun in gardening! Tithonias! Mine have started blooming too! Hi-Five! 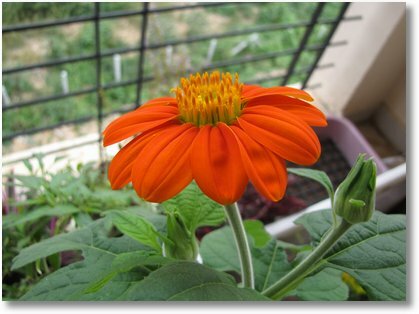 I was thinking about you when I was writing about Tithonia yesterday. Some time back we were both worried; I on why its taking so long to flower and you on your plants leaf getting dried. Both of our plants are blooming now Yay!! 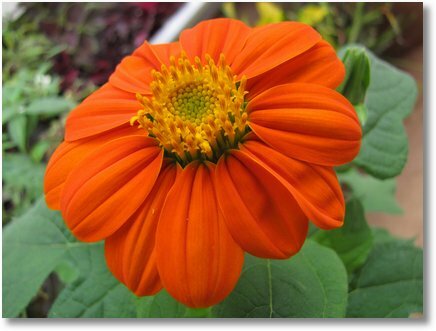 Tithonia really gets tall though..
Wow……. beautiful flowers. would you please share your rose secrets. i have tried so many times to grow them but not succeeded yet. i would really appreciate your time. i live in rajasthan . its quite hot here. please mention everything like watering, sun, shade etc. i hope you will help. apart from that, your blog is simply great. keep writing. Roses need good sunlight ( that you have in plenty). They also are heavy feeders. 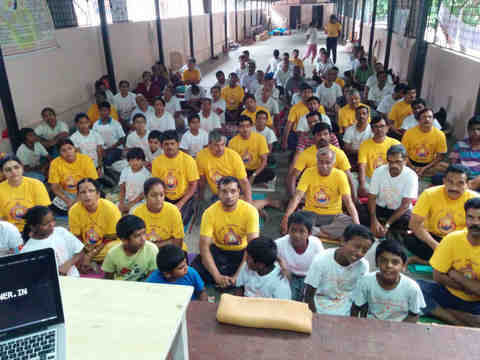 Keep the soil moist all the time but not water logged. 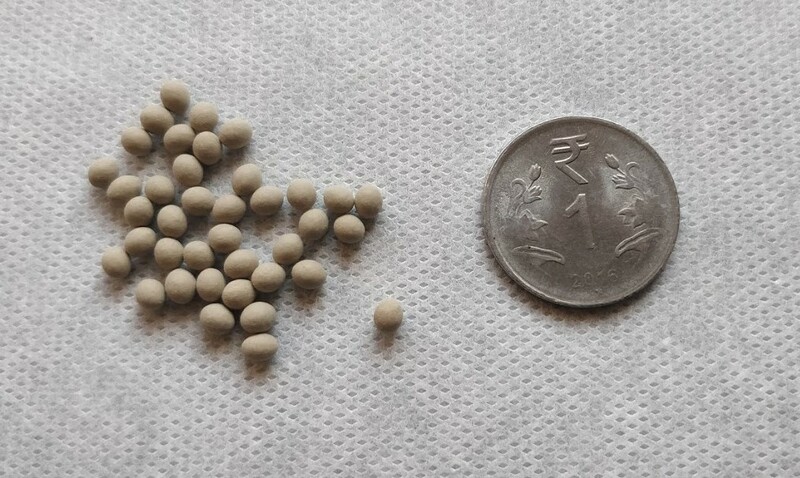 Feed them regularly with water soluble nutrients high in Phosphorous. I do have some plants in my terrace, my major concern is when ever I move out of my place, I need to depend on my neighbour to water my plants. Please let me know if you have option for this situation. Is that the kind of answer you were looking for? Hi! 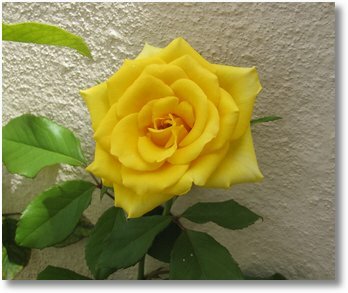 I happen to have a rose plant in a rectangular pot along with pineapple plant, where pineapple has grown so large that it has almost occupied the entire space however to our great pleasure and surprise rose has managed its way out of expanse of pineapple and is giving us beautiful roses regularly for last almost 3 years!!! we feel they both must be good companions. can u please specify the time of sowing for each flower? Wow! thats like heaven…..those flowers really look beautiful and feast for my eyes and soul….thank you for sharing. 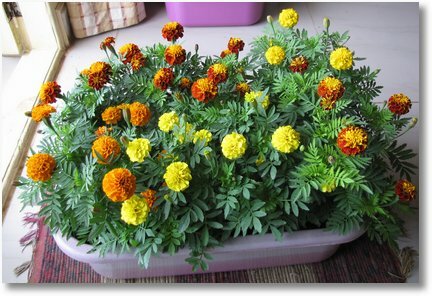 I would love to grow the Asters, Roses, Tithonia, and Marigold on my terrace too. 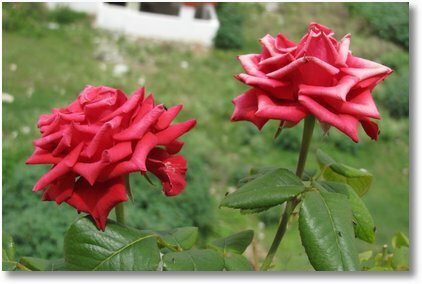 Infact my terrace garden has roses, jasmine & varieties of samanthi.On one half portion I have flowers and ornamental plants grown and on the other side a vegetable garden. Also some fruits like pomegranate, sugarcane, lemon, etc. 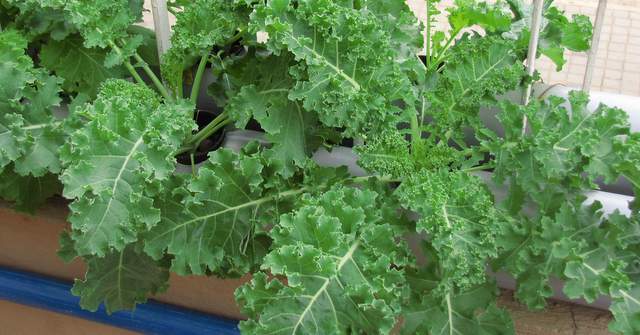 Please let me know from where I can obtain the seeds/cuttings. 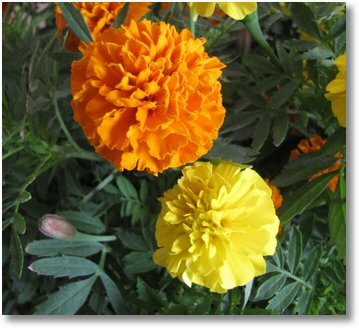 In fact am planning to grow a complete row of 15 pots with only Marigold, so please suggest me from where I can obtain quality seeds for the same. Please keep posting. It was such a pleasure for me when i found ur blog and no words after seeing your plants and ur care for them. 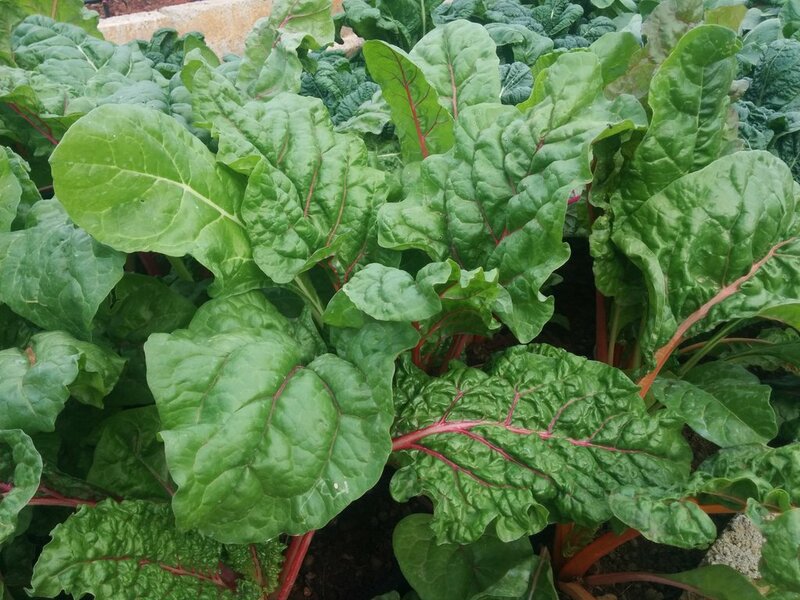 I love gardening but some times i could not give time to all my plants and always says that i am a mother of 3 yr old baby and a SE and satisfies myself. But after seeing your garden i just came to know that we should have passion about it. When i have time 😛 will post my garden pics. 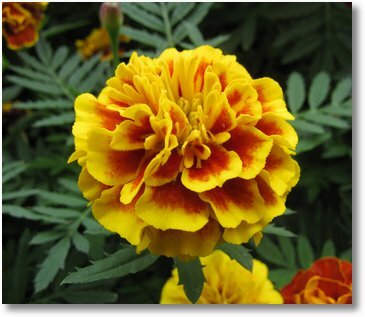 I was very much impressed by your french marigolds and planned to have some. Till now the seeds are doing good they just germinated in one n half day and i was so exited about it. 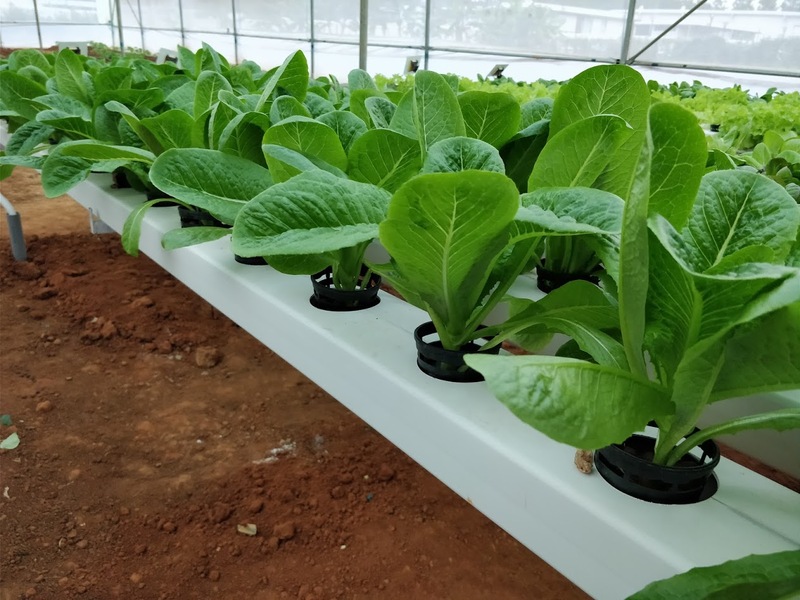 Just looking forward for the little seedlings to grow big and bloom well.